Habib Badr, Pastor of the National Evangelical Church of Beirut. On this occasion – explained Soraya Bechealany in her introductory speech - the common theological and pastoral reflection will focus on justice as the foundation of peace. 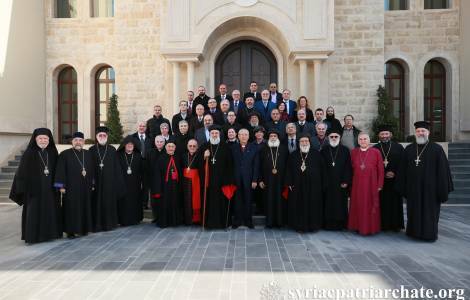 Syrian Orthodox Patriarch Ignatius Aphrem, in his speech, reiterated that the future of Christians in the Middle East consists in "living together with Muslims" on the basis of mutual respect and sharing of the same rights.